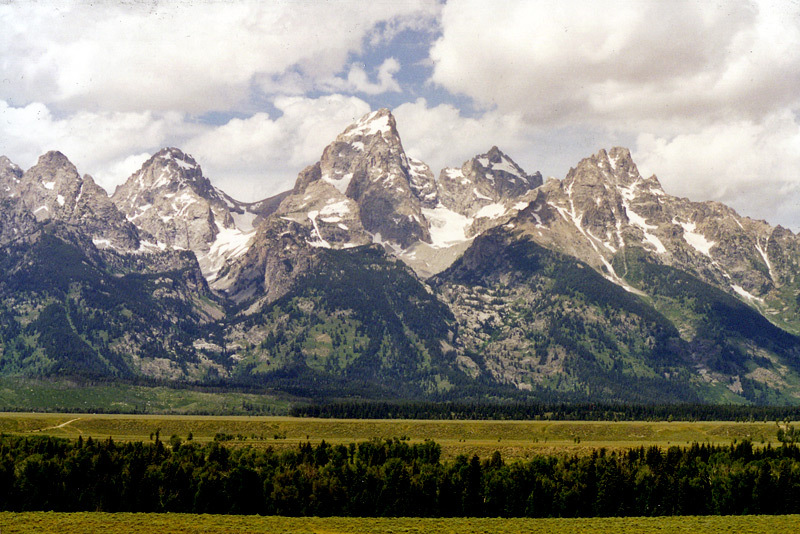 The Tetons from left to right: Nez Perce Peak, Middle Teton, Grand Teton, Mt. Owen, and Mt. Teewinot. There are probably a dozen viewpoints like this beside the road which runs along the east side of the Snake River. 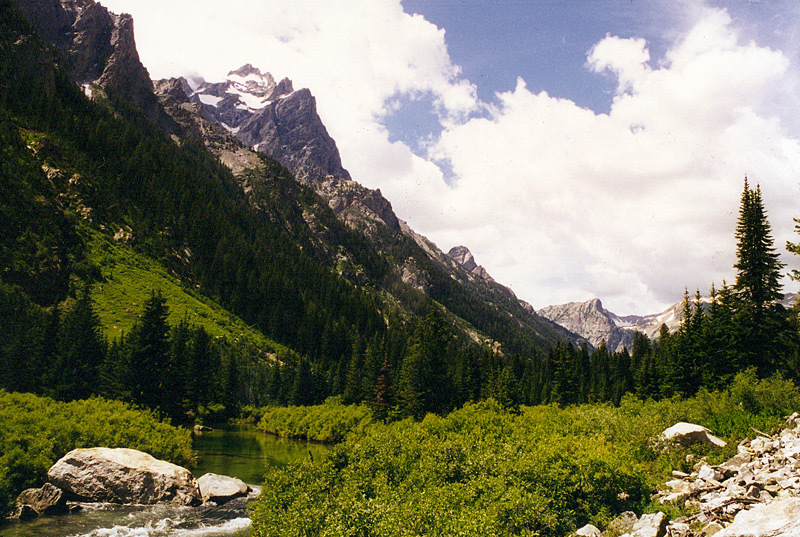 The trail in Garnet Canyon gives you stunning views up the canyon to Middle Teton and occasional views back down the canyon to the valley below. A strenuous hike can take you both here and to Amphitheater Lake, but it's better to do them separately so you have plenty of time to explore at the top of the trails. If you only have time or energy for one of them, I recommend Garnet Canyon, which makes for a moderate dayhike. 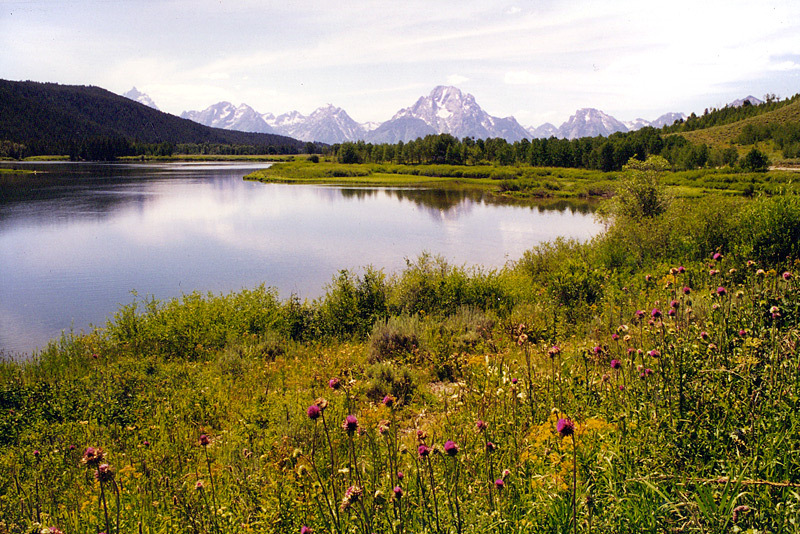 This is the Oxbow Bend of the Snake River, with Mt. Moran behind it. This is another overlook from the side of the road. Mt. 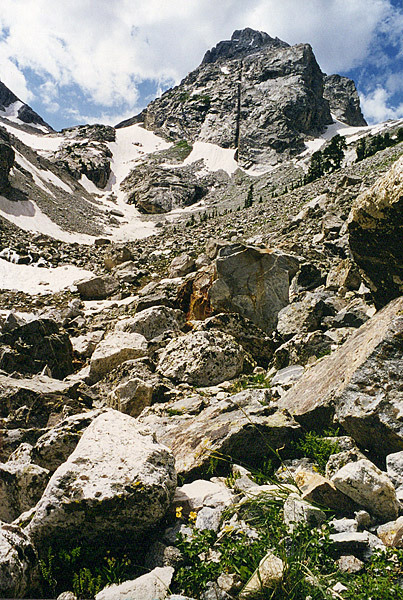 Owen and Cascade Canyon, about 1/2 mile beyond Inspiration Point.